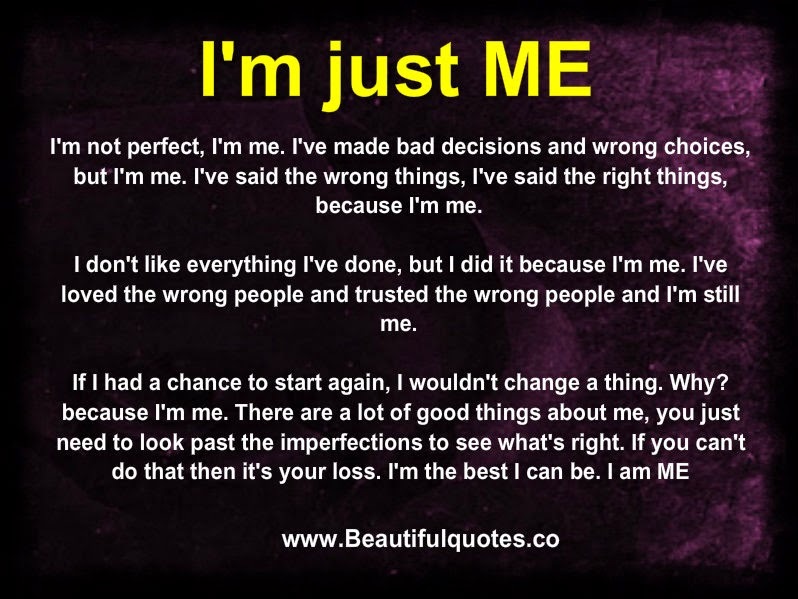 I'm not perfect, I'm me. I've made bad decisions and wrong choices, but I'm me. I've said the wrong things, I've said the right things, because I'm me. I don't like everything I've done, but I did it because I'm me. I've loved the wrong people and trusted the wrong people and I'm still me.